MOGADISHU – While Somalia has maintained a positive trajectory — marked by a “far‑reaching” reform agenda and expanded domestic revenues — ongoing political turbulence could throw it off course, the Secretary-General’s Special Representative for that country warned the Security Council on Thursday. 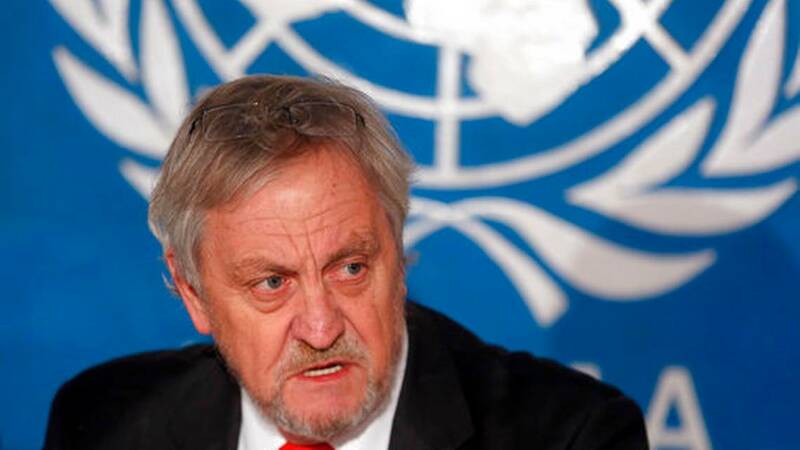 Nicholas Haysom, who is also Head of the United Nations Assistance Mission in Somalia (UNSOM), said he was well received by officials of the Federal Government and regional States alike when he arrived on 3 October 2018, adding that he has been impressed with the Government’s commitment to implementing reforms through roadmaps in various sectors — inclusive politics, security and justice, economic recovery, and social and human development. The roadmap on inclusive politics covers elections, the constitutional review, federalism, and reconciliation — the essential components of State‑building — he pointed out, adding that the draft electoral law has been submitted to the Cabinet, while amendments from political parties, civil society, and the international community have been provided. Delay in submitting that law to Parliament will see a milestone missed, he cautioned, recalling the Government’s pledge to have it adopted by December 2018. Meanwhile, the National Independent Electoral Commission continues to make headway with preparations for pre-voter registration. Technical cooperation has continued on the constitutional review and the Federal National Technical Committee is negotiating draft political agreements on justice, sharing of mineral resources, allocation of powers and fiscal federalism. Yet, the stalemate between the Federal Government and leaders of the federal member states continues to impede progress on defining the federal model, building State institutions and implementing the national security architecture, he said. Since the halt in cooperation on 8 September 2018, however, there have been encouraging efforts to restore relations, notably President Mohamed Abdullahi Mohamed Farmajo’s offer of direct dialogue behind closed doors. The landscape is complicated by electoral processes under way in several federal member states, he added. “Politics is complex in any nation, but in one that is still establishing its norms and institutional parameters — and still debating the roles and responsibilities of its respective governance structures — there is a risk that complexity shifts to conflict.” In South West State, allegations of Federal Government interference in the electoral process and violence following the arrest of a candidate — a former Al-Shabaab deputy leader — does not bode well for electoral processes in other regions or for the 2020 national elections, he cautioned, noting that tensions also surfaced on 9 December 2018 when members of the House of the People submitted a motion to impeach the President. Describing Al-Shabaab as the biggest source of insecurity, he said that, despite ongoing operations to degrade it, the terrorist group has the capacity to attack citizens and target electoral delegates, Somali security forces and the African Union Mission in Somalia (AMISOM) alike. It claimed responsibility for a complex attack against the Sahafi Hotel in Mogadishu on 9 November 2018, which killed more than 50 people, he noted, adding that, in Mogadishu and Puntland, elements supporting Islamic State in Iraq and the Levant (ISIL/Da’esh) have targeted business owners. Francisco Caetano Jose Madeira, Special Representative of the Chairperson of the African Union Commission and Head of the African Union Mission in Somalia (AMISOM), briefed via teleconference from Dar-es-Salaam, highlighting areas of action which could help achieve reconciliation if properly implemented. Taking advantage of the “winds of change blowing in the region”, Somalia has sought to complement its national security mechanisms with regional ones, collaborating with Ethiopia and Eritrea, in particular. The importance of such cooperation cannot be overstated due to its potential to foster regional harmony and integration, he emphasized. The Horn of Africa and the Gulf of Aden share a long history of diplomatic relations, he said, pointing out that business relations are also growing, substantial investments are being made and a large influx of migrants from the Horn are traveling to the Gulf. AMISOM is working on its exit strategy, with a focus on empowering the national security forces, with whom it has conducted joint operations, he said, adding that its police component, with limited personnel strength, have focused on leaving the country. Following those briefings, Abukar Dahir Osman (Somalia) strongly condemned the mortar attack against the Mogadishu airport that struck the United Nations compound, stressing that law enforcement promptly began an investigation with a view to bringing the perpetrators to justice. Somalia, led by President Farmajo, is making progress on all fronts, he said, adding that, in nearly two years, the Government has advanced an organizational structure to carry out its reform agenda through four roadmaps designed to track implementation, improve coordination among ministries and agencies while enhancing transparency at all levels. Recalling Somalia’s election to a three-year term on the Human Rights Council beginning this month, he reaffirmed its commitment to promoting and protecting human rights at the national and global levels. In October 2018, Somalia acceded to the Convention on the Rights of Persons with Disabilities, while Parliament approved a draft law on human rights, another milestone. With a “new mode of business”, Somalia is rebranding itself, taking its rightful place in the region. The end of 2018 marked an exciting time of partnership in the Horn of Africa, with an agreement aiming to promote peace and security across the region, he said.